I indicated yesterday an intention to expand on the need for the reverent and worthy reception of Holy Communion, to develop an apologetic for the Church’s practice of what some call “closed communion.” Not everyone who uses this terminology means it pejoratively, though some do. But to some extent it is fair to say that we do have “closed communion.” For the Catholic Church, Holy Communion is not a “come one, come all” event. It is reserved for those who, by grace, preserve union with the Church through adherence to all the Catholic Church believes, teaches, and proclaims to be revealed by God. Our response of “Amen” at Holy Communion signifies our communion with these realities along with our faith in the true presence of Christ in the Eucharist. However tempting the idea may be, it contradicts what we find in the Bible. Jesus’ Last Supper was not one of those meals he held with “publicans and sinners”. He made it subject to the basic form of the Passover, which implies that the meal was held in a family setting. Thus he kept it with his new family, with the Twelve; with those whose feet he washed, whom he had prepared by his Word and by this cleansing of absolution (John 13:10) to receive a blood relationship with him, to become one body with him. The Eucharist is not itself the sacrament of reconciliation, but in fact it presupposes that sacrament. It is the sacrament of the reconciled, to which the Lord invites all those who have become one with him; who certainly still remain weak sinners, but yet have given their hand to him and have become part of his family. That is why, from the beginning, the Eucharist has been preceded by a discernment … (I Corinthians 11:27 ff). The Teaching of the Twelve Apostles [the Didache] is one of the oldest writings outside the New Testament, from the beginning of the Second Century, it takes up this apostolic tradition and has the priest, just before distributing the sacrament saying:”Whoever is holy, let him approach, whoever is not, let him do penance” (Didache 10). Thanks to Pope Benedict’s writing prior to his papacy, we can see the root of the problem: the failure to see the Eucharist for what it truly is—a sacred banquet wherein those who enjoy communion with the Lord (by His grace) partake of the sign and sacrament of that communion. Holy Communion serves to celebrate and deepen the communion already operative through the other sacraments of Baptism, Confirmation, and Confession. If you want to call this communion “closed,” fine, but at its heart it is more positively called a “sacrum convivium,” a sacred meal of those who share a life together (con = with or together + vivium = life). This is not a “come one, come all” meal; it is a Holy Banquet for those who wear the wedding garment. The garment is righteousness and those who refuse to wear it are cast out (cf: Matt 22:11-12 & Rev 19:8). Many moderns surely would prefer a “no questions asked” invitation to all who wish to come. We moderns love this notion of unity. But to a large degree it is a contrived unity that overlooks truth (the opposite of which is falsehood, not just a different viewpoint). Yes, it overlooks the truth necessary for honest, real, and substantive unity. Such a notion of communion is shallow at best and a lie at worst. How can people approach the Eucharist, the sacrament of Holy Communion and unity, and say “Amen” when they differ with the Church over essentials such as that Baptism is necessary; that there are seven Sacraments; that the Pope is the successor of Peter and the Vicar of Christ on Earth; that homosexual acts, fornication, and adultery are gravely sinful; that women cannot be admitted to Holy Orders; that there is in fact a priesthood; that Scripture must be read in the light of the Magisterium; and on and on? Saying that there is communion in such a case is either a contrivance or a lie, but in either case, it does not suffice for the “Amen” that is required at the moment of reception of Holy Communion. Such divisions do not make for a family meal or a “sacrum convivium.” Hence, to share Holy Communion with Protestants, dissenters, and others who do not live in communion with the Church is incoherent. To paraphrase Cardinal Ratzinger (Pope Benedict), the Eucharist is not a table fellowship with publicans and other “sinners”; it is a family meal that presupposes grace and shared faith. This, then, leads us to a second point: the need to approach the Sacrament of Holy Communion free from serious and unrepentant sin. Let’s consider some texts to show that the Church’s desire that her sons and daughters receive Holy Communion in a state free from serious sin is not only a proper requirement but a loving one. Each quote is followed by some of my own commentary in plain red text. So then, whoever eats the bread or drinks the cup of the Lord in an unworthy manner will be guilty of sinning against the body and blood of the Lord. Everyone ought to examine themselves before they eat of the bread and drink from the cup. For those who eat and drink without discerning the body of Christ eat and drink judgment on themselves. That is why many among you are weak and sick, and a number of you have fallen asleep. But if we were more discerning with regard to ourselves, we would not come under such judgment. Nevertheless, when we are judged in this way by the Lord, we are being disciplined so that we will not be finally condemned with the world (1 Cor 11:27-32). St. Paul teaches that examining oneself is a prerequisite for worthy reception of the Eucharist. If not, Holy Communion has the opposite of the desired effect of union with our Lord, bringing condemnation rather than blessing. So, out of respect for Christ and for our own good, the Church requires us to be in a state of grace when we receive. We are required to abstain only when there is mortal sin. Confessions of devotion, however, are highly recommended. [At the Last Supper the disciples asked]: “Lord, who is it [who will betray you]?” Jesus answered, “It is he to whom I will give this morsel of bread when I have dipped it.” So when he had dipped the morsel, he gave it to Judas, the son of Simon Iscariot. Then after he had taken the morsel, Satan entered into him. Jesus said to him, “What you are going to do, do quickly.” Now no one at the table knew why he said this to him. Some thought that, because Judas had the moneybag, Jesus was telling him, “Buy what we need for the feast,” or that he should give something to the poor. So, after receiving the morsel of bread, he immediately went out. And it was night (Jn 13:21-30). It is unclear and debatable if the “morsel” taken by Judas was Holy Communion (why would Jesus have dipped it?). But still, there is something of a picture of what unworthy (sacrilegious) reception of Holy Communion might cause in an extreme case. So if you are offering your gift at the altar and there remember that your brother has something against you, leave your gift there before the altar and go. First be reconciled to your brother, and then come and offer your gift. Come to terms quickly with your accuser while you are going with him to court, lest your accuser hand you over to the judge, and the judge to the guard, and you be put in prison. Truly, I say to you, you will never get out until you have paid the last penny (Mat 5:21-26). Note the use of the simple word “first.” Jesus teaches that we cannot approach the altar if we are filled with hate or injustice toward our brethren. Reconciliation and the restoration of unity are required prior to approaching the Sacrament of Holy Communion, lest our “Amen” be incoherent or a lie. A person who is conscious of grave sin is not to celebrate Mass or to receive the Body of the Lord without prior sacramental confession unless a grave reason is present and there is no opportunity of confessing; in this case the person is to be mindful of the obligation to make an act of perfect contrition, including the intention of confessing as soon as possible (Code of Canon Law # 916). Note that the use of the Act of Contrition mentioned here is an exception requiring moral or physical impossibility to go to Confession beforehand and the necessity of receiving Communion immediately (such as a priest who MUST celebrate Mass). There are some pastoral notes that can be added here later for those who struggle with certain habitual sins that are possibly grave such as masturbation. The Catechism has some notes to review that a confessor can apply to a penitent in such cases. But no Catholic should simply take it upon himself to use the exception described in Canon 916. A confessor must be consulted. To respond to this invitation we must prepare ourselves for so great and so holy a moment. St. Paul urges us to examine our conscience: “Whoever, therefore, eats the bread or drinks the cup of the Lord in an unworthy manner will be guilty of profaning the body and blood of the Lord. Let a man examine himself, and so eat of the bread and drink of the cup. For any one who eats and drinks without discerning the body eats and drinks judgment upon himself.” Anyone conscious of a grave sin must receive the sacrament of Reconciliation before coming to communion (Catechism # 1385). If any one is holy, let him approach; if any one is not so, let him repent. Maranatha. Amen. … But let no one eat or drink of your Eucharist, unless they have been baptized into the name of the Lord; for concerning this also the Lord has said, “Give not that which is holy to the dogs” (Didache 10, 9). Note that the Didache was written sometime between 90 and 110 AD. Hence very early on there was an understanding that the Eucharist was not a mere “table fellowship with sinners” but rather a sacral meal that presupposed grace and communion with the Church. Presenting oneself to receive Holy Communion should be a conscious decision, based on a reasoned judgment regarding one’s worthiness to do so, according to the Church’s objective criteria, asking such questions as: “Am I in full communion with the Catholic Church? Am I guilty of grave sin? Have I incurred a penalty (e.g., excommunication, interdict) that forbids me to receive Holy Communion? Have I prepared myself by fasting for at least an hour?” The practice of indiscriminately presenting oneself to receive Holy Communion, merely as a consequence of being present at Mass, is an abuse that must be corrected (Ratzinger Memo to Cardinal McCarrick, # 1). Clear enough! In all these quotes we see a tradition that is Scriptural, ancient, and clear: the Eucharist is a sacred meal that requires of us something more than just “showing up.” Indeed, there are warnings against irreverent reception, in which the Eucharist as regarded as ordinary or is treated casually. Is the Church merely being “fussy” about Holy Communion? No more so than were St. Paul and the Holy Spirit, who inspired him to write and warn us against unworthy reception of the Eucharist. As such, the Church is charitably exhorting us to receive the Eucharist, but also charitably warning those who are unprepared to refrain from reception. Indeed, Scripture warns that the unworthy reception of Holy Communion brings not a blessing but a condemnation. This is God’s teaching, not mine. Perhaps an analogy can be found by noting that some people are allergic to penicillin. For them, a drug that has saved many lives can threaten their own. They are simply not able to receive it, though it is good in itself. Sinners, too, not by accident or birth or genetics, but by choice will also find the Eucharist, though it gives life to many, to be problematic for them. 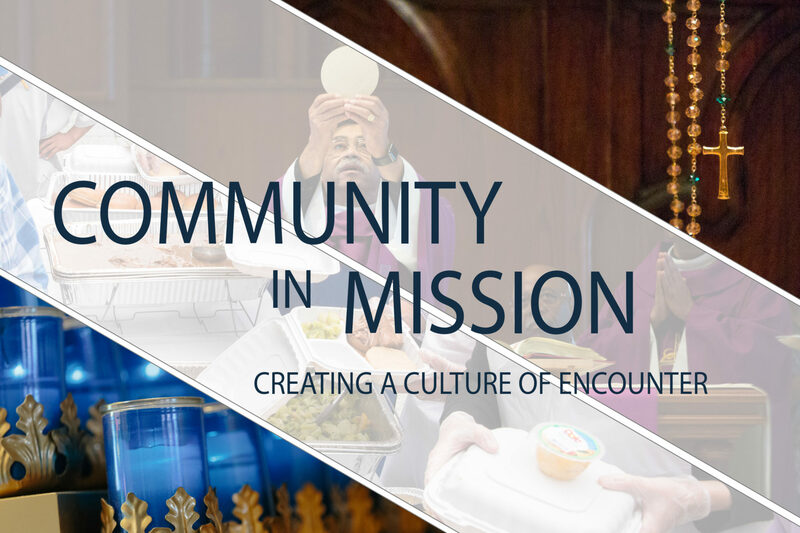 In charity, the Church teaches that those individuals unprepared to receive Communion refrain from doing so until the problem can be resolved. This is charity, not cruelty or a lack of hospitality. The practice of indiscriminately presenting oneself to receive Holy Communion, merely as a consequence of being present at Mass, is an abuse that must be corrected (Joseph Cardinal Ratzinger, 2004). That picture…ugh…now I have to go to confession. Wow, sorry! But beauty is no crime 🙂 Of course Princess Grace was already taken, this is her marriage photo. Then later she died tragically and was taken home (we trust) to the Lord. SO, she’s take, twice over, if that helps! Went to a wedding yesterday and our pastor declared that anyone who “wants” to receive communion could come up. Sigh. Not “all Catholics in good standing” can come up at this time or else all others can receive a blessing. This is not the first time this has happened. Once he said at a funeral how this was not a “time for division” and invited all to come and receive. Is this not a MAJOR problem and LACK of charity? However even many high prelates say that NO one is to be turned away from Communion, even if dressed in drag or declaring they are in a homosexual union or are a predominant pro-abortion politician, etc. That reduces respect for the Body of Christ. The ‘come as you are’ mentality and the chat with your neighbor mentality common in many parishes also reduces the knowledge that God is truly present in the Eucharist. Msgr – I told my 9 year old daughter she shouldn’t receive Holy Communion yesterday because she had blatantly lied to me, blamed it on someone else to get way with it and knew what she was doing. I told her that since she knew it was a sin to lie to me to get away with something, she needed to confess it and it would be a VERY bad idea to receive our Lord in the Eucharist. It was the first time I remember being more concerned about her receiving our Lord like that, than the lie she told to me. I’m not sure if this was the right course of action, but taking into account she is at that age where shes trying to get away with a lot, just as I did at that age, it seemed it was the right action to take. As we attended Holy Mass, she did NOT go up to receive our Lord. I was very joyful that she listened. Parenting is not easy. I hope its not a sin to talk and post about what I just did. Its not to hurt her, nor me, not our Lord, but to bring about awareness that being a Parent means Spiritual and Physical needs are to be taught. Not overlooked. I couldn’t have been older than five because I was five when we left VT, and this happened in VT. I went shopping with my mom and swiped a candy bar and starting eating it in the car on the way back home. When my mother realized what I had done, she turned the car around and went back to the store and made me admit what I had done and apologize. I don’t know if I have any memory of the event, but the story is part of my family history and looking back I’m glad she did that. Not to be argumentative, but while lying is always wrong, not all lies are grave and it is hard to imagine a nine-year old’s lies being grave. Also, while a nine-year old knows right from wrong, they lack the maturity to make sound judgments, and hence have less culpability than an adult. In other words, a neutral party is going to think there is nothing here that would warrant refraining from communion. Its important to teach children to tell the truth, but not at the expense of fostering scrupulosity. The Eucharist is Christ’s Sacramental Body and Blood, and the Church is Christ’s Mystical Body. Just as we cannot enter the Church except through Sanctifying Grace via the Sacrament of Baptism – even baptismal grace by desire – so too we cannot receive Christ’s Sacramental Body and Blood except through Sanctifying Grace via the Sacrament of Confession – which Perfect Contrition confirms. “Mystical Body” implies Sacramental Body, since mysticism is not visions or revelations but the grace of communion and covenant with God in Christ in His Passion in His Church in His Sacraments, which also implies other dimensions of the Church – faith, virtue, and prayer – since faith is a virtue, all virtues and truths are in the Faith, and prayer is an act of the virtue of religion. EXCELLENT!! We NEED these kinds of sound teachings in our classes. The books my children learn from in ccd are very watered down, even in the confirmation classes, where I think they really need it. Seems they are being taught only what would seemingly not chase them away, and then we wonder why we have so many weak Catholics that vote for such mortal sins as ssm marriage. I will read and teach this to my children. than you. look forward to your next post. In reference to the last comment by Pope Emeritus Benedict XVI (Joseph Cardinal Ratzinger). 1). It’s obvious to me that few people now go to confession. 2). In many parishes I have attended too many people arrive late to Mass. 3). Causal dress is often the norm when one has better clothes at home they could have worn to church. Nevertheless, most receive Holy Communion. I remember reading someone commenting somewhere that before Vatican II the lines for confession were long and even then many people did not go to Communion on Sunday. But nowadays priests sit and wait in the confessional for anyone to come at all, and EVERYONE goes to Communion on Sunday. In my humble opinion, there is only One Who is holy (set apart). He is called the Holy Spirit (or Ruach haKodesh). Psalm 51:1-11 and Isaiah 63:1-11 tell us the Set-Apart Spirit is another title for the Father, and the Son carries the name of the Father (John 17:11)… hence the Set-Apart Name covers all 3 aspects of the Trinity. Any baptized Christian already belongs to God, for he has been immersed and reborn in the Name of the Father, Son, and Holy Spirit. To refuse a child of God the grace available through reception of the Eucharist is a disgrace. Are you saying this to St. Paul or to the Church? Or are you saying it to Christ when he says to leave, go first and be reconciled with your brother and then come back? With whom are you arguing. Is your opinion really so humble if it overthrows 2000 years of practice going back to St. Paul, Christ the Didache and forward till now? In my imperfect opinion it seem you merely dislike the practice. True, we are God’s possession. Please see Matthew 5, as Monsignor mentioned, then Isaiah 66:1-6. Our Lord has never approved abuses in worship, which is always a possibility. While we have received new life in Baptism, we’re still accountable in our exercising free will. It may be your opinion but it is not very “humble” to refer to the continuous practice since the time of the early Church to refuse communion to manifest, public, unrepentant sinners (who would after all be eating and drinking their own condemnation and causing scandal in the process) as a “disgrace” and not, yanno, a work of charity. Besides, one’s opinion, humble or otherwise, is totally irrelevant to Truth. Unfortunately, when the Vicar of Christ gives conflicting signals, such as telling a divorced/remarried woman she could receive Holy Communion, it confuses the masses. Yes, although please be careful here. We don’t really know all that was said in this private conversation. I know that I have been misunderstood before. One might wish that the Pope had clarified the teaching when the woman went public with her side of the story, but here too priests are not always able to clarify things without breaking confidence and/or the seal. So lets not take an ambiguous one-sided story and make too much out of it. Excellent teaching, Monsignor. However, I fear that this blog preaches to the choir. I believe this to be a serious issue: How can it be that there are only 10 people who show up for confession on Saturday, but over 1,000 people receive communion on Sunday? Many of us lay Catholics also have a tough time expressing this to our Protestant spouses or friends. (Nay, even our fellow Catholic brethren!) We need a way to get your words out to the others. I find the best way to encourage the reception of the Sacrament of Reconciliation is to point out to others how much I get out of going frequently. It’s like taking a spiritual shower. However, in the Novus Ordo readings for Holy Mass verses 27 and 29 *are not* in the lectionary. I find this… well, sad. Why did they leave those verses out? As you so rightly note it is *very* important to heed St. Paul’s words from Sacred Scripture about being in a state of grace to receive. This is the most perplexing idea/reality of all. Take for instance: ”Whoever is holy, let him approach, whoever is not, let him do penance” (Didache 10). I have never heard this at a mass I have ever attended. I have however, heard. Oh Lord, I am not worthy that Thou shouldn’t come to me, but speak the words of comfort, my spirit healed shall be. Even as a child, I used to listen to this, generally sung in those olden days, as making it very difficult to attend communion. Yet, when once in my life, (I wont’s give the particulars) I prepared an ‘analogous’ communion, as perhaps an act of repentence, that I understood as part of the saving grace of receiving communion. And yet, I have difficulty with the ‘Transubstantiation’ model, which I understand now, was only adopted officially into the Church, when Aquinas took this from Aristotelean philosophy. Correct? But I also cannot accept the Protestant – Its symbolic – interpretation. Yet I believe the presence of Christ is or can be ‘within all’. I paraphrase here. Whenever two or three or something meet in my name, I am with you. I also have been a great admirer of the thoughts of Teihard Jardine on this subject. I also have difficulty between distinctions of the ‘mystical body of the Church’ and the ’empirical church’. I don’t go to Communion. When I attend church, I stay for the liturgy of the word, only. It is all just too difficult. I think avoiding absolute notions helps to overcome your concerns. Worthy is a continuum. The point is to avoid serious (mortal) sin. This does not mean we are absolutely holy, or absolutely worthy, only that by God’s grace we are not aware of serious sin. “Confessions of devotion, however, are highly recommended.”–If someone is in a position to make a devotional Confession, it seems likely to me that he is doing things for which he can gain indulgences, for himself or someone in Purgatory, and that is another reason for making such a Confession fairly frequently, as indulgences require fairly frequent Confession. I answer that, Hilary, in commenting on Matthew 26:17, held that Christ did not give His body and blood to Judas. And this would have been quite proper, if the malice of Judas be considered. But since Christ was to serve us as a pattern of justice, it was not in keeping with His teaching authority to sever Judas, a hidden sinner, from Communion with the others without an accuser and evident proof. lest the Church’s prelates might have an example for doing the like, and lest Judas himself being exasperated might take occasion of sinning. Therefore, it remains to be said that Judas received our Lord’s body and blood with the other disciples, as Dionysius says (Eccl. Hier. iii), and Augustine (Tract. lxii in Joan. ).”–Summa Theologica > Third Part > Question 81 > Article 2. Judas was given communion because he was a “private sinner” No one knew he was betraying Jesus. Even if a priest knows someone has a grave sin they can still give communion if it is not a public fact. If someone is a “notorious sinner” – it is publicly known that they have commited grave sin then communion is withheld. Since Judas was a private and not a notorious sinner, Jesus gave him communion. This is the position held by Thomas Aquinas. Is it perhaps time to consider the possibility of reinstituting older restrictions on the frequency with which Communion may be received? We forget sometimes that daily communion was impossible before about a century ago, and that in earlier times even weekly communion was unusual. When Adam and Eve sinned by eating of the tree of good and evil, they had to leave the Garden of Eden and an Angel stood guard over the tree of life. Adam and Eve could no longer walk with God in the Garden daily, nor eat from the tree of life. Jesus came and established His Kingdom here on earth. We can now walk with God in His Garden each day at Mass and receive from the Tree of Life. This is a great gift that God has given us when we obey Him through His Church. It would be very sad for believers to be asked not to eat of the Tree of Life daily. Rather, it is up to us, who believe, to make known the teachings’ of Christ that Msgr Pope speaks of. I have an off topic (sort of) question. Regarding Judas and the dipped morsel. Assuming he did recieve the body and blood of our Lord (he had not committed THE SIN yet), then he had Jesus in him. As Satan then entered him after the reception, he had both inside of him. Satan could not exist along side the Lord in this manner, and although he had taken control of Judas he could not touch Jesus. In that case, his only recourse would be to cause Judas to take his own life to remove Jesus from his proximity. COMMUNION IS FUSION BY PARTICIPATION WITH JESUS CHRIST. IT IS OUR AMEN, CHOOSING TO LIVE, LOVE AND OPERATE THROUGH, WITH AND IN HIM. When my daughter was a pre-schooler, she took a small cup of juice and a donut hole from the fellowship hall as we went into church. She placed them beside her on the pew. She did not touch them during the corporate confession. She did not touch them during the opening hymn. She did not touch them during the Gloria or the readings for the day. She did not touch them during the Creed, the offering, or the Sanctus, or the Lord’s Prayer. But when it was time to go up for Communion, she picked up her juice and donut hole. While I knelt to receive the Body and Blood of Christ (which we Lutherans believe) she nibbled on her donut hole and drank her juice. Perhaps she was just imitating the adults around her, but I think she sensed somehow that she was missing something.